solar power for churches Archives - Solar Love! 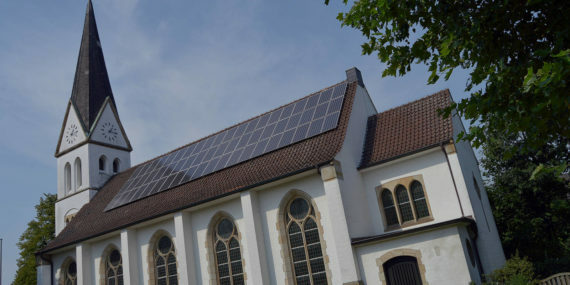 Home Tags Posts tagged with "solar power for churches"
Faith members considering solar power for churches, temples, mosques, and other houses of worship are discovering that installations are getting both easier and cheaper. Since 2009, according to the Solar Energy Industries Association (SEIA), costs for non-residential solar installations have dropped around 73%, from around $7.50 per kilowatt to today’s cost of about $2 per kilowatt. In Minnesota, for example, approximately 400 congregations are working with Minnesota Interfaith Power and Light (MNIPL), a faith-based nationwide nonprofit concerned with climate change and environmental stewardship. MNIPL Executive Director Julia Nerbonne notes that conversations on solar power for churches are trending all across the state. Among the 20 Minnesota houses of worship that completed their transition to solar power in 2016 are Unity Church-Unitarian and Woodbury Peaceful Grove United Methodist Church in St. Paul. In Roseville, St. Christopher’s Episcopal Church also completed it’s solar rooftop installation last year. While the church spent around 2 years to complete researching and installing its solar system, securing $119,000 in funding for St. Christopher’s solar project was facilitated by federal and state programs. 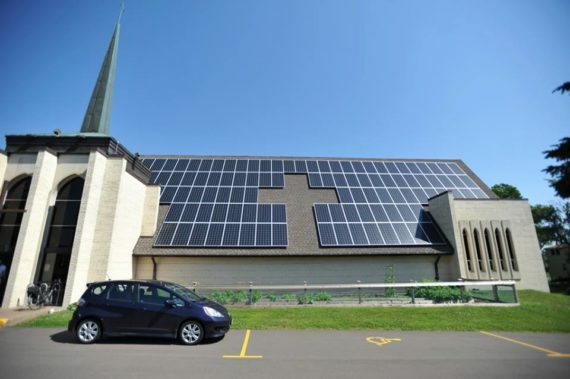 Joel Norton, a member of St. Christopher’s Green Team, says that the church worked with a local solar installer, applied for a federal tax rebate program, and took advantage of the Made in Minnesota solar incentive program.